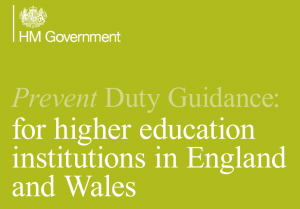 Universities and Counter-Terrorism in the UK: ‘Educators Not Informants!’, ‘Boycott Prevent!’? How – consistent with democracy, human rights, the rule of law, and the preservation of cosmopolitan community cohesion and public confidence in law and its enforcement – should the UK respond to the threat posed by terrorism and, in particular, how should it seek to prevent people, especially vulnerable young people, from being enticed into it? These questions have arisen in a particularly acute form as a result of the Counter-Terrorism and Security Act 2015 which, amongst other things, imposes a legal duty upon schools, universities, charities, the NHS etc – but not directly upon their staff individually – to ‘have due regard to the need to prevent people from being drawn into terrorism.’ This may include banning some activities, regulating others, and/or taking appropriate steps to identify those who may be at risk and to refer them to appropriate welfare agencies. 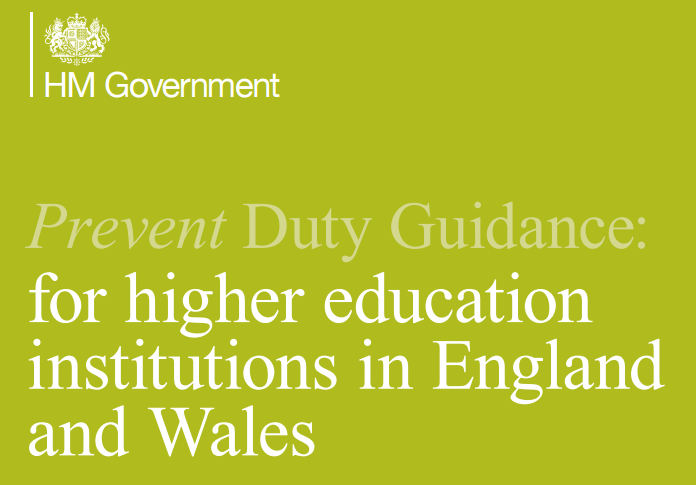 The policy of the University and College Union (UCU) – which represents over 110,000 academic and other staff in higher and further education in the UK – is to boycott the requirements of the Act and the wider ‘Prevent strategy’ of which it is a part, on the grounds that they seriously threaten academic freedom, stifle campus activism, require staff to engage in racial profiling, legitimize Islamophobia, and jeopardize safe and supportive learning environments. Hence the slogans ‘Educators Not Informants!’, ‘Boycott Prevent!’, ‘Prevent Prevent!’ and ‘I Dissent from Prevent!’ which circulate in and around the campaign. This blog summarises work in progress – part of a much larger project concerning terrorism, counterterrorism and human rights in the post-9/11 UK – which argues that the UCU boycott is not only illegal, illegitimate and deeply flawed, but also potentially dangerous and irresponsible. Posted in Bristol ScholarsTagged boycott, continuous industrial action, Counter-Terrorism and Security Act 2015, counterterrorism, NUT, Prevent, statutory duty, Steven Greer, terrorism, think piece, UCU, vulnerable adultsLeave a Comment on Universities and Counter-Terrorism in the UK: ‘Educators Not Informants!’, ‘Boycott Prevent!’?